India, the world’s third largest coal producing country, is expected to maintain strong dependency on coal for the coming few decades. The gross calorific value (GCV) of coal is a key yardstick for many end users purchasing coal from suppliers, as it provides a clear measure of the useful energy content of a coal. Several methods are available to predict GCV using either moisture content and/or ash yield or using entire proximate and ultimate coal analysis data. These correlations and machine learning prediction tools tend to be too complex and hence are of limited utility for the end-user. For Indian coals, the most widely used simple correlation, based only on moisture content and ash yield, proposed by Mazumdar (1954), is less applicable to the coals being mined today, which have higher ash yields. 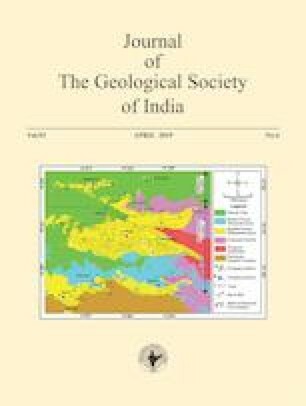 This and other existing correlations used to predict GCV of Indian coals from moisture content and ash yield is linear in nature. Here the application of non-unitary exponents to the ash yield and moisture content terms and introducing other non-linear terms to the equation to provide empirical correlations with improved prediction accuracy for local and national application is evaluated. This evaluation is achieved in Excel using its built-in optimizer “Solver” to evaluate a generic equation and optimize its coefficients when applied to a dataset of 756 coals from three Indian coal basins and to locally focused subsets of that dataset.